When you're shopping for a new mattress, it's important to do a little research and test out several in the store before you buy. After all, you're going to be spending a lot of time on it (approximately one-third of your life!) and you're going to have it a long time (it's recommended to replace your mattress every 8 years). But what kind of mattress is right for you? Goldilocks only had to try out a few mattresses before she found one that was just right. You've got a lot more choices! 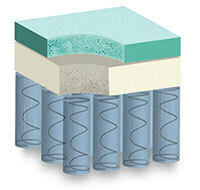 Innerspring, foam, hybrid, plus a host of features and options. It's also a highly personal choice with no right answer for everyone. One person's idea of bliss is another person's pain in the neck - or back. So before you head out to the store, we're offering a little pre-bedtime reading! This handy mattress guide will give you the bed basics you need to make a smart choice and sleep happily ever after. So now that you know you need a new mattress, let's make sure you get the one that's just right for you! As you know, mattresses come in a variety of sizes. 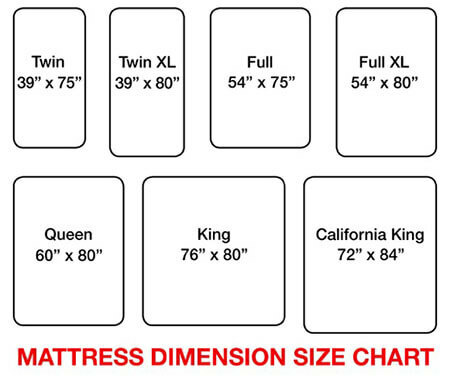 When you're considering size, think about who's going to sleep in it and what room it's going to be in. Measure the space you've got and then figure out if the new mattress will fit in the room and, perhaps more importantly, through the door. Keep in mind that buying a too-small mattress is one of the most common bed-buying mistakes. If you like a lot of room to stretch out, or you want to invite all the kids or pets into bed with you on Sunday morning, this is the mattress for you. Sixteen inches wider than the queen, a king mattress gives you a luxurious sleeping area with plenty of room to move around and not disturb your partner. The king comes with a split box spring, which is easier to manage when moving. A queen mattress allows two adults to sleep comfortably next to each other - with room for a dog or a couple of cats - and fits nicely in most bedrooms. This popular choice is available with standard or split box springs that make it easier to maneuver through narrow stairwells, elevators and doorways. Perfect for a teenager who wants a bit more room or for couples who like to sleep snuggled up. A full-size bed is also a good choice for the guest room. 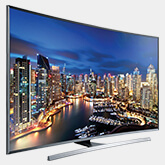 Add extra length to your twin with the XL, making it a more comfortable choice for taller people. An ideal choice for college students. Best suited for one adult or child, a twin bed fits most smaller spaces like kids' rooms, guest rooms, dorms and vacation homes. Twin mattresses are also used for specialty beds like trundle beds, daybeds and hi-risers. Now that you know what size mattress you're looking for, it's time to decide on the right style. Mattress manufacturing has come a long way in recent years, and all three types of mattresses - memory foam, innerspring and hybrid - provide exceptional comfort and lasting quality. You just have to figure out which one is best for you. 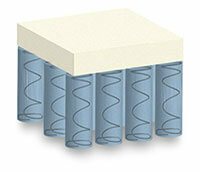 Memory foam mattresses offer excellent support, stability, breathability and temperature control. 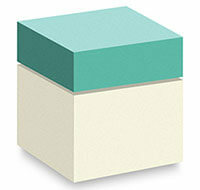 Memory foam molds to the shape of your body, fitting the contours and relieving stress on certain areas. When you get up, it springs back to its original shape (hence the "memory" part) but will not feel as bouncy as an innerspring mattress. This style is a favorite of people who suffer from back and joint pain. The density of the foam determines the degree of firmness. Tried and true, innerspring mattresses are constructed of steel springs and coils for support, along with layers of cushioning for comfort. You'll find a wide variety of innerspring mattresses to choose from, including some with individually wrapped coils, continuous coil construction, pillow tops and even gel infusion. Innerspring mattresses are usually less expensive than memory foam, making them more affordable and the most widely sold. While relatively new to the marketplace, hybrid mattresses combine the lasting support of a steel coil innerspring with the responsiveness and comfort of memory foam. This is an ideal solution for those who are interested in the benefits of memory foam, but prefer the springy feel and support of a steel coil innerspring system. Extra firm is the firmest mattress choice, for sleepers who need solid, stable support. True to its name, a firm mattress has a firm feel with less give and no sinking feeling. Back sleepers most commonly choose a firm mattress. A cushion firm mattress has extra cushioning at the sleeping surface, so you get support and softness. Designed to envelop your body in softness and gentle support, a plush mattress is popular with sleepers of smaller builds and anyone who doesn't require firm support. An ultra-plush mattress has the softest feel at the surface to surround you in cloud-like comfort. A mattress is a big investment, so follow these guidelines to make sure you enjoy yours for years to come. Don't be shy! It's essential to lie down on the mattress, ideally in the position you sleep in most. You cannot judge a mattress just by sitting on it. Take your time. Any mattress is going to feel comfy for five seconds. Try to lie on each one for at least five minutes and imagine going to sleep on it every night. Try out a lot of mattresses. Even if you think you want a firm one, test out softer models for comparison. Test different brands of the same firmness. One brand's firm might feel a lot different from another brand's. Find the one you like the best. Remember that a mattress is a long-term investment in your health and well-being, so get the best mattress you can afford. You have many brands to choose from, but make sure you get a recognized brand. Don't be tempted by no-name mattresses. Your back will thank you! Conn's HomePlus offers a huge selection of name brand mattresses, so you're sure to find one that fits perfectly in your comfort zone and price range. 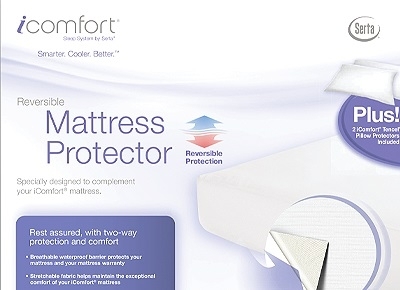 Serta iComfort’s cooling material is made with advanced technology to provide all the support of memory foam without the discomfort of sleeping too hot. 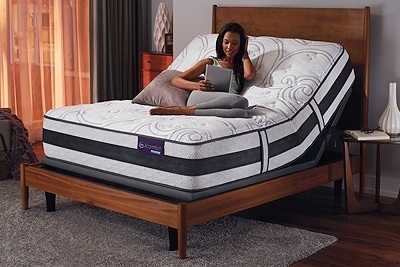 This line is available in both memory foam and hybrid. 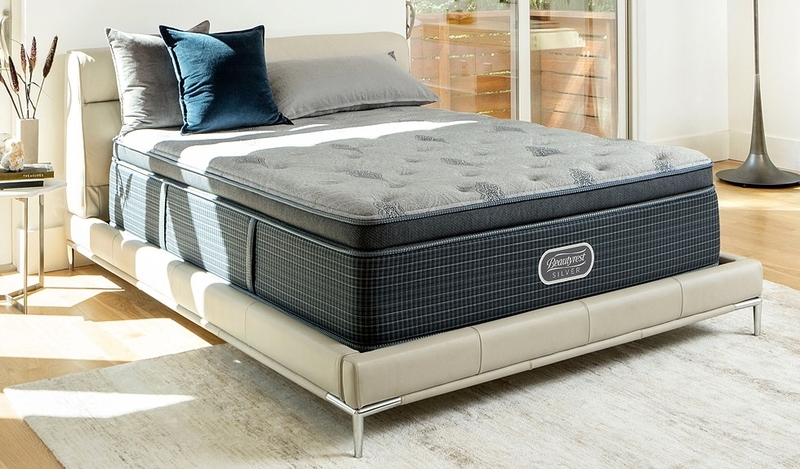 The Perfect Sleeper mattress was designed to solve 5 of the most common sleep problems, which rewarded them the title of Official mattress of the National Sleep Foundation! The Beautyrest Black uses the most advanced technologies to provide a luxurious night’s sleep every night. 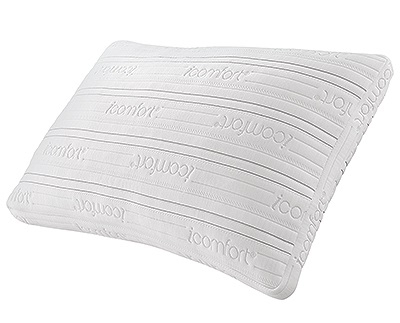 Pocket Coil technology helps provide exceptional support and pressure relief, while the SurfaceCool Plus fibers help ensure cooler body temperatures while sleeping. The Beautyrest Platinum combines both comfort and luxury to provide the best night’s sleep every night. 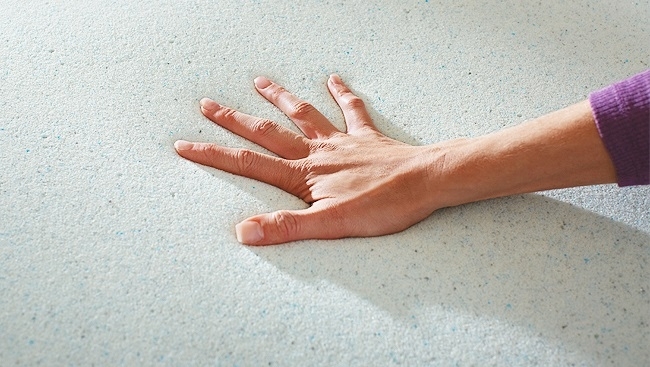 This mattress uses different foam technologies to provide the exact amount of support and cooling needed. Beautyrest Silver offers regular and hybrid mattress types to offer a broad range of comfort, support, and cooling preferences. The Beautyrest Silver combines comfort with affordability, able to suit any and all types of sleepers. 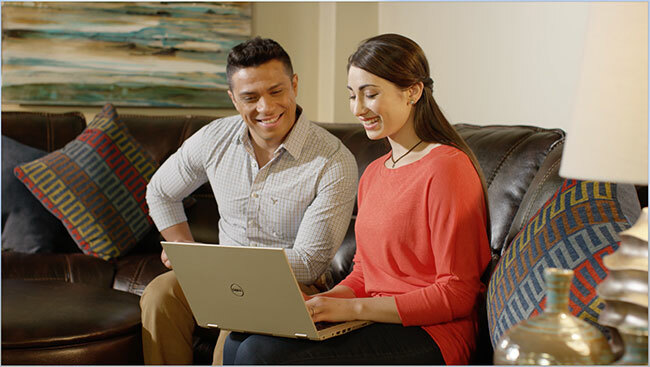 An adjustable bed base allows you (and your partner) to modify the height of the head and/or feet of your mattress, making it great for watching TV, using a laptop or reading in bed. An adjustable base can also help with common sleep problems, such as snoring, acid reflux and sleep apnea, by allowing you to sleep with your head elevated. Elevating your feet takes pressure off the lower back and can improve circulation. You can't exactly throw your mattress in the washer when it picks up a few dirty spots. A quality mattress protector keeps the exterior and interior of your mattress as clean as possible, protecting it from stains, allergens and general wear and tear. Soft, firm, full, flat, fluffy, foam or feather, everyone's preference in pillows is unique. Having the wrong pillow or an old pillow can cause neck pain, sleepless nights and an accumulation of dust that stirs up allergies. A simple metal bed frame can be more convenient and space-friendly than a headboard and footboard with rails. They often sit lower to the ground, making it easier to get in and out of bed. 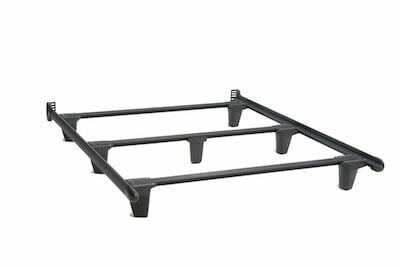 Bed frames serve as good support for the mattress and box spring. There's nothing like slipping between fresh, clean sheets and snuggling under a cozy comforter or your favorite bedding. Layering a blanket, quilt and/or comforter over your sheets gives you options as the temperature changes throughout the night. It's our mission at Conn's HomePlus to make it possible for everyone to purchase quality, long-lasting products for their home. Your well-being depends on quality sleep, so it's critical to invest in a quality, comfortable mattress. 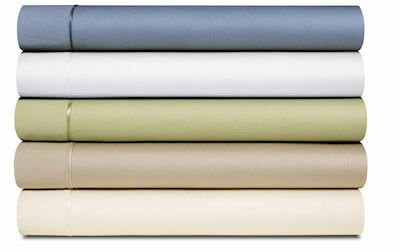 We hope this guide has given you valuable assistance in choosing the ideal mattress for you. Happy shopping and sweet dreams!